Variety reports that Christopher Miller and Phil Lord’s Han Solo movie has added Emilia Clarke to its star-studded cast. 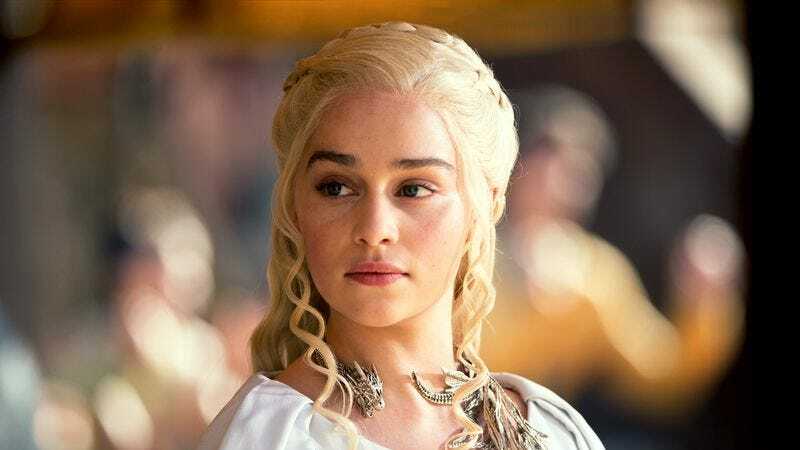 The Game Of Thrones actress joins Alden Ehrenreich, who’s taking over the role of everybody’s favorite space scoundrel from Harrison Ford, and Donald Glover, who was recently cast as Lando Calrissian. Miller and Lord have been searching extensively for an actress to play the female lead in their solo Solo film, which is currently scheduled for May 25, 2018. Other actresses who’ve tested for the part included Zoe Kravitz and Tessa Thompson, as well as Kiersey Clemons and Jessica Henwick. Details about the character are being kept under wraps. Despite being a newcomer to the Star Wars universe, Clarke is no stranger to CGI monsters and fantastic storytelling, being best known for playing dragon-wielding badass Daenerys Targaryen on HBO’s Game Of Thrones. Her previous film roles include the weepy drama Me Before You, and a turn as Sarah Connor in last year’s Terminator Genisys.